If you’re like most internet users in Nunavut, you’re probably used to slow, expensive downloads and on-again, off-again cellphone service. You might think Nunavut was planned that way. But it wasn’t. 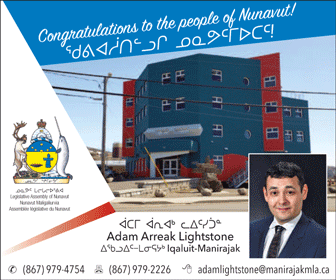 Those who helped create the Government of Nunavut dreamed of it being accompanied by a state-of-the-art electronic communications network. 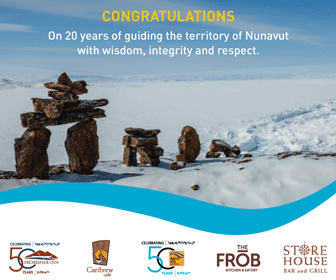 “The face of the Arctic is rapidly changing, and in no area more so than in the field of electronic communications,” the Nunavut Implementation Commission declared in 1995, in its famous Footprints in New Snow report. “A significant level of computer/electronic literacy has already been attained. With proper forethought, planning, and tools, this level of electronic literacy can be expanded and deepened and corresponding economic and other benefits realized,” the commission said. At that time, the internet was a new, unfamiliar medium. 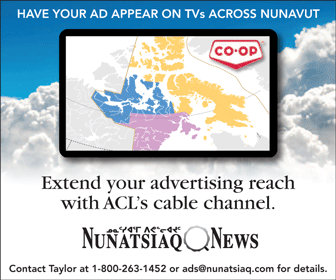 A form of local dial-up internet access was available in Iqaluit through a company called Nunanet, but people in most other Nunavut communities had no affordable access. Because of this, but primarily because of the extremely high cost of satellite communications and the total absence of any land-based fibre optic lines, they also knew that creating such a network would be a tough job. Chaired by Inuit leader John Amagoalik, the 10-member commission was handed the task of making recommendations on how a public government in Nunavut should be designed. They concluded that Nunavut’s government would need a reliable, efficient communications network to function properly. 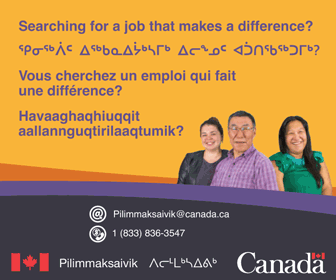 That’s because of the policy of decentralization, which sent roughly 400 mostly new government jobs to 11 of Nunavut’s smaller communities between 1999 and 2001. The commission put hundreds of hours of work into studying the problem and published the results in widely distributed, but long-forgotten, supplementary reports. In one of them, Nunavut’s planning body put forward a utopian vision: a network of “teleservice centres” that would link the territory’s 25 communities. At those centres, all residents would get free or low-cost access to electronic communications equipment of all kinds—fax machines, scanners, computers and videoconference equipment. They envisioned that this system would be piggybacked upon a robust network that would connect schools, health centres, hamlet facilities and decentralized territorial offices. 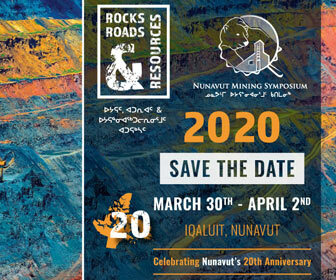 To show off its potential, in 1997 the commission also organized a big conference on the “nature of work” that drew delegates to Iqaluit from across the three regions that would soon make up Nunavut. At the same time, they connected as many people as they could to the conference by combining every medium available to them at the time: satellite television, videoconferencing through telephone lines and satellite, fax machines, dial-up internet, and plain old voice telephone lines. 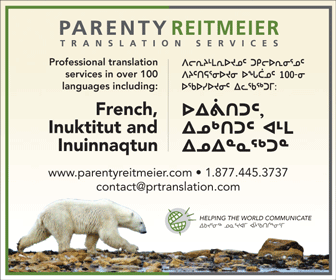 That included the use of English–Inuktitut interpreters, as well as sign language interpreters and an open captioning system for the hearing impaired. “The conference organizers were aware of the risks of attempting such a technically complex format, but were firmly committed to the goal of demonstrating the potential benefits of telecommunications by pushing the limits of the current infrastructure,” organizers boasted at the time. As we all know now, Nunavut never got there. Instead of facilitating a decentralized government, the weak telecommunications networks that were put in place tended to hamper government operations. In 1999, the sole territory-wide internet service available to Nunavut offered access only to governments and some private businesses, which included a few locally based internet providers. The Nunavut Broadband Development Corp., a non-profit organization, surveyed Nunavut residents and found strong demand for better internet everywhere in the territory. Using funds from Industry Canada and other sources, the broadband corporation signed a contract with the Yellowknife-based SSi Micro to offer broadband internet in every Nunavut community. That’s how the Qiniq network, which uses wireless signals in every community, came into existence in May 2005. 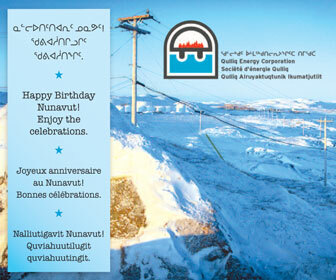 Finally, every community in Nunavut had gained access to a form of affordable internet. 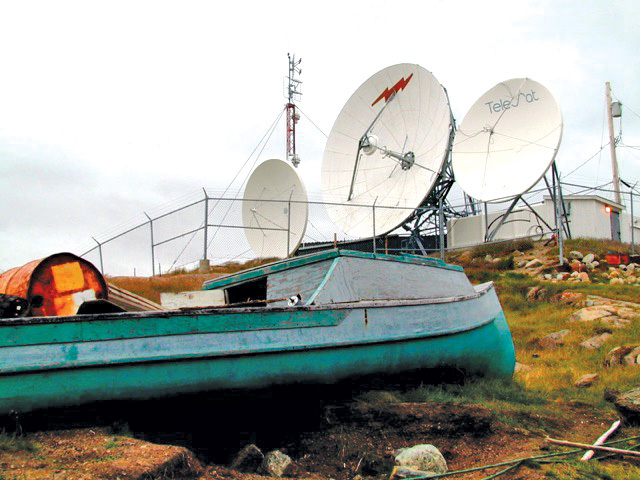 But on Oct. 6, 2011, Nunavut residents received an abrupt wake-up call that exposed the territory’s total dependence on satellite communications. A software glitch put Telesat’s Anik F2 satellite out of commission for 16 hours, knocking out long-distance telephone, cellular, internet and automated banking services. Airlines cancelled dozens of flights, stranding thousands of passengers, and RCMP officers and territorial government officials in Iqaluit fell back on Iridium satellite telephones to reach the small communities. After that incident, governments and many other stakeholders and agencies, including the CRTC, began to take a long, hard look at the fragile state of northern Canada’s telecommunications system. Spurred by an earlier telecommunications breakdown in the summer of 2009 that hampered the Operation Nanook military exercise, a body called the Northern Communications and Information Systems Working Group did a big assessment of the communications infrastructure in the Canadian Arctic. Concerned about public safety and national security, the group recommended the setting of basic minimum standards, more reliable services, more funding, redundancy and back-up systems, and improvements to emergency response. An Ontario-based firm called Arctic Fibre Inc. emerged, proposing to install an undersea fibre optic line from New York City to Asia through the Northwest Passage, connecting multiple Nunavut communities along the way. That company was eventually acquired by Quintillion Subsea Holdings of Alaska, which did install undersea fibre optic around Arctic Alaska. But a plan to connect the Canadian Arctic has yet to be implemented. 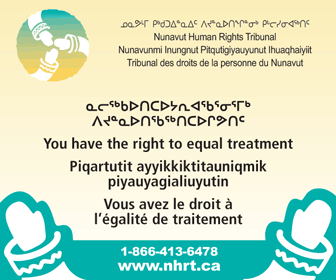 At the same time, northern organizations and governments, especially the Government of Nunavut, began to make more aggressive submissions to the CRTC, demanding that the regulator do more to enforce the creation of more reliable telecommunications in Nunavut. “Remote isolation cannot be used as a justification for governments, businesses nor individuals being unable to access a service that is vital in today’s digital economy and that in turn provides access to other services, such as health care, education, government, public safety and banking,” the GN told the CRTC in 2016. 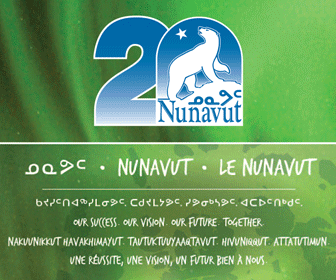 As for the state-of-the-art telecommunications system that planners had envisioned for Nunavut, Nunavut still waits. Jim Bell lived in Nunavut from 1979 until 2015, and for much of that time worked as a reporter and editor at Nunatsiaq News. Preamble, I come to evaluate, not to praise nor denigrate. I’m grateful for all of your reporting and editorializing, Jim. NOTABLY, the 2009 outage resulted from Steven Harper and his Operation Nanook boys overloading both Iqaluit and the cellular network there. That shouldn’t be one of your reference examples for status of ‘disconnected’. Neither was it an inspiration for growth. It was 2009. Ten years ago. THEN you refer to a software glitch on a Telesat satellite for a few hours in October, 2011. Do you think that redundancy hasn’t improved since then? There were 35,000 cargo ships on the ocean that day. That’s more CARGO ships on the ocean than there were people in Nunavut in 2011. Do you think those ships operated their communication and navigation with fibre-optic cable? And seriously. 2011 is 30 years ago in techtime. DID you have a Twitter or FB account in 2011? Did you even use email? In 2011, what did we know about autonomous driving; the holistic human genome project; the concept of 5G; blockchain; AI; AIS; …? What do we know now? Despite all this progress, an Air Canada systems glitch caused nearly two days of delays in March, 2018. AC carries 150,000 passengers daily. Imagine the economic cost and the disruption to those with fragile health. There are many, many, many broader examples globally. I BELIEVE that SSI Micro has 4G service to each community in Nunavut with full cell and internet capacity and uptime that is equivalent to best-service in Canada’s cities. In addition Bell has service to most or all communities. Probably Rogers is in there and Explornet has limited service as well. There might be others. GPS service is everywhere. There is better cell service in Nunavut communities than much of Canada’s rural provincial jurisdictions. You’d know. 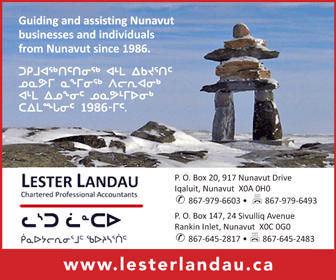 FOR THE subline: “Planners imagined state-of-the-art telecommunications for Nunavut. We’re still waiting” Are you sure Jim? Given your credentials and insight we’d expect reporting to be a bit more researched, balanced, imaginative and progressive rather than inciteful theatre about “imagined state of the-art”. The outage in 2011 was a wake-up. At that time almost all telecommunication in Nunavut went through one satellite, except the Iridium sat phones, which every Cabinet Minister and many hunters had. Today our telecommunications go through several satellites. In a few more years there will be a global cluster of thousands of satellites in low earth orbit providing service comparable to cell service, but available everywhere in Nunavut. Fiber optics will be used primarily for highly secure communications where every centimeter of the cable is under your direct control. “DID you have a Twitter or FB account in 2011?”. Twitter launched in 2006, Facebook in 2004. “Did you even use email?”. Are you kidding me? You weren’t using email in 2011, Rob? You talk about 2011 being 30 years ago in “techtime”, and then praise SSi Micro for having 4G in each community. Guess what, Rob? 4G first rolled out in 2009, and the last community to get cell service happened in December 2018. Rob M Adams, out on the comment thread again, trying his best but failing miserably. SHUCKS gg. It’s nice that you are here, though it’s a shame you don’t contribute. Sloth? More importantly, did you use email in 2011? WHAT’S wrong with state-of-the-art 4G service in each of Nunavut’s communities? You know of better in southern Canada? Many communities there don’t have 4G and contiguous 4G is generally only along the 49th parallel corridor. No 5G in Kingston. 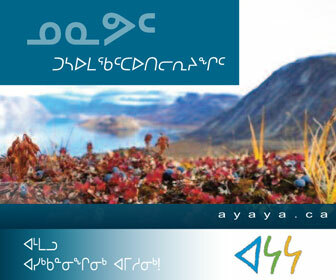 Correction, SSi launched QINIQ in all 25-communities in 2005. That network was upgraded to 4G/LTE in 2017/2018. SSi Mobile launched in all 25 communities in 2018. There’s still room for improvement but the recent addition of satellites in October 2019 was a big jump into the right direction. If the GN actually pulls through with this Baffin fiber project, we’ll be A-OK. The Quintillion project was shady. The GN was smart to do this on their own. Apart from what is happening in the world, Jim, you concentrated on Nunavut; what it was like, what it hoped to do, what it can do, and what it hopes to do. IMPROVEMENTS in Nunavut’s communications’ infrastructure has tracked what is happening nationally and globally, except when GN bureaucracy has interrupted. Are there people in Iqaluit who still think they can out-develop global expertise on any matter or convince anyone that they can? If so the delusion is complete. Still buying toner for the fax machine? GROWTH in communication infrastructure, whether wired or not, is driven by global demand and innovation. We have come a long way since the first communications satellite in 1957, Telstar in ‘62, Anik in ‘72 and Iridium in ’97. Heck, China finally launched one last year. The sky is the limit! DON’T BE so sure about your centimeters of cable, EE. We’ll see whether wired or wireless wins the prizes for security. As quickly as fibre-optic cable and its successors are being unrolled and upgraded around the globe, so too are improvements in wireless security and developments for encryption. Besides, earthquakes, thaw and the like are indiscriminate with what they control and damage. For adventurous types the big money might come from salvaging decommissioned cable AND satellites. IT MIGHT be best for GN to learn to buy and adhere to best-practice instead of any other senseless tack that has been its infrastructure hallmark far too often. 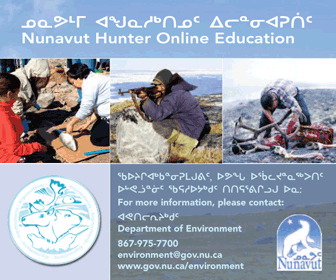 Want to hear a few stories about built-in-Nunavut proprietary software? No need for any more second-system effect or square wheels. After 5,000 years in the Arctic someone would have done so if necessity and innovation had connected. I would like to comment from the perspective of a former CIO of the GN (the first one actually) and as one of the founders of Nunavut Broadband. 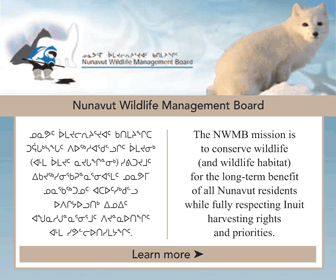 First, before the GN existed (1996) the previous government of Northwest Territories (which included Nunavut until 1999) signed an agreement with NWTel to deliver a network service to all communities in the previous NWT. This project overlapped with the creation of Nunavut and that network was called the “Ardicom Network”. It was originally intended to serve consumers, businesses and government. When it finally rolled out, governments benefited by receiving the best prices while businesses and consumers were simply unable to afford the prices charged by NWTel. Jim Bell references this network in his article. 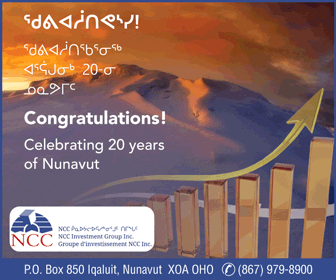 Second, as an independent consultant I created Nunavut Broadband Development Corporation in 2003 for the purpose of developing a business plan that would enable broadband in every Nunavut community for consumers and businesses. 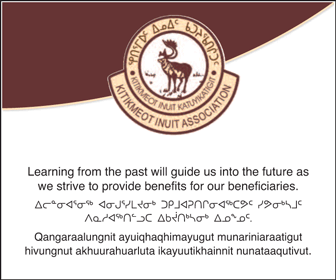 We obtained initial funding from the federal government, submitted our plan and won the federal investment needed to launch what became the QINIQ network serving all 25 communities. Through a competitive RFP process we selected SSi Micro to implement the initial rollout in every community in 2005. Since then SSi and the government of Canada have invested more than $150 million in QINIQ infrastructure, satellite services and subsidies for Nunavut consumers. Without this significant investment the basic QINIQ service, now at $80 per month, would cost at least $300 per month. Third, all suppliers of communications in Nunavut operate using one or more of 3 satellites operated by Telesat as the backbone connecting Nunavut with the south. No other supplier has satellites covering all of Nunavut. Jim Bell references the single incident in the last two decades where one of these satellites malfunctioned for a period of 16 hours. This is an incredibly good record! During the same two decades the fibre serving Yellowknife and Whitehorse was likely broken dozens of times, with time to repair usually measured in hours and sometimes days. In the event that undersea fibre reaches Nunavut, then any fibre breaks under the ice could be catastrophic – with time to repair measured in months. Satellite is expensive, and the current geo-stationary satellites have a high latency time compared to fibre, but on up-time satellite will always beat fibre and microwave. Moreover, fibre will serve only a few preferred communities with the rest left to the satellite issues we know and hate. Fourth, both NWTel and SSi Micro have state of the art “last mile” services installed in Nunavut for broadband and mobile voice (cell phones). SSi covers every community with these latest “last mile” services at the same price point with no long distance charges within Nunavut. But both suppliers and the GN are constrained by the lack of backbone capacity connecting to the south. A new satellite (T19) was launched last fall but the added new capacity on that satellite is not available to all service providers unless additional equipment is installed. Forecasts also show that the new capacity, when connected to the existing users, is not sufficient beyond the end of 2019. Watch the progress of LEO (Low Earth Orbit) satellite projects. Telesat, SpaceX and OneWeb are all testing LEO. Two of these projects will serve the north, those being Telesat and OneWeb. LEO projects involve hundreds of satellites orbiting very close to the Earth (400-1,000 kilometers) where there are always several satellites visible over any point on our planet. Each satellite moves across the sky in several minutes. Initially the ground equipment will be small, tracking antennas protected in radomes. The cost for ground equipment per community will be more than the current satellite antennas. But eventually, the ground equipment will be a flat panel that electronically tracks the best connection just like a cellphone in a moving car tracks and connects to the best cell tower. LEO networks will provide terabits of overall capacity on the backbone with latency lower than fibre. Unfortunately, we have to survive for three more years with the current congested backbone, absent new capacity coming on board. Of course fibre should be installed when new north-south roads or power lines are installed (example: the proposed power project from Manitoba to western Hudson Bay communities). Otherwise, undersea fibre should be avoided when installed under the ice where the sea bottom is prone to ice damage or to undersea landslides. To keep current on this subject Google “LEO satellites” and follow the links. I agree with everything you wrote, except the part about LEO suppliers. I’ve seen the publicly released SpaceX plans. 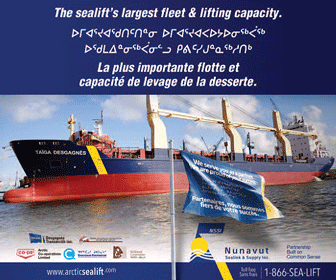 Their initial coverage will not include Nunavut, but their full constellation will. THANKS for the background David. ONE CONCERN with your comments is the suggestion that a land-based communication connection is feasible or a necessity. In drafting that conclusion, you surmise that south-north land corridors are fitting for transportation or transmission to Nunavut. Not so and the idea should be dismissed indefinitely. NEITHER population, geography nor economics justify that tack for transportation or power transmission. Advances in marine and air transport, navigation and docking are key for considering those as all-in options. With Hudson’s Bay, Labrador Sea, MacKenzie Canal and Bering Strait we have brilliant, natural north-south passages. 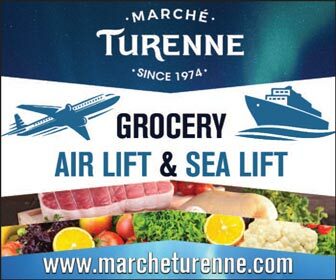 Large or small, planes are extremely efficient people and cargo carriers. The ongoing development of ports to accommodate ships and planes is both pragmatic and inevitable. Diluting or delaying that development with competing interest in land-based connections or painting a counter-perspective in the light of social isolationism is defeatist. For electricity, only local “run-of” hydro or alternate local natural resource power generation should be considered and any proposal for south-north power transmission should be abandoned. Thanks for the comments Rob. The ultimate goal of any fibre project in the mid and far north is to start from a fast competitive existing service as close to a large Canadian urban centre as possible. (Connections to centres outside Canada like Alaska or Greenland raise security issues and make it harder to gain government investment.) Best choices from east to west are Montreal, Toronto, Winnipeg and Edmonton. Fibre already exists as far north as Chisasibi, Moosonee, Churchill and Inuvik with power lines, roads or railways serving as the right-of-way for the fibre. All of these endpoints are on or near northern salt water. But the fees (essentially tollgates for digital traffic) to use the existing fibre to these end points may be excessive, the capacity and electronics for extra traffic may not be there and failure rates and local management performance may not be tolerable. Often agreements would have to be reached with more than one owner/tollgate to use their portion of the route to the south. As an example, to get fibre to Cambridge Bay the obvious choice is to connect to the NWTel fibre at the top of NWT but it is unlikely that the western region of Nunavut can afford the capital cost of the new (undersea) fibre as well as the toll charges that NWTel would demand for traffic between Edmonton and Inuvik. The situation in Churchill is similar with Bell promising fibre service in Churchill but unknown capacity and costs if used as a starting point to communities further north. Without getting into the choices on the power situation, most modern power lines include fibre on the towers for internal power management purposes. It is cheap and easy to add capacity for external purposes and if power is to be delivered to the north with towers, additional fibre capacity should be included as part of the power project. More generally, I am saying to government funding agencies: if you are financing the build/upgrade of a power line, a railway, a road or a satellite ground station in the mid or far north, please add fibre as part of the main project and please ensure that the new fibre has strands and equipment that allows more than one vendor to use the new capacity on a shared basis. Competition between communication vendors should occur at the retail “last mile” level while sharing backbone/backhaul capacity.